Millions of children in the U.S. have untreated tooth decay – in fact, cavities are five times more common than asthma among children. As a parent, teaching your kids the importance of oral hygiene is critical to ensure a lifetime of good dental health. 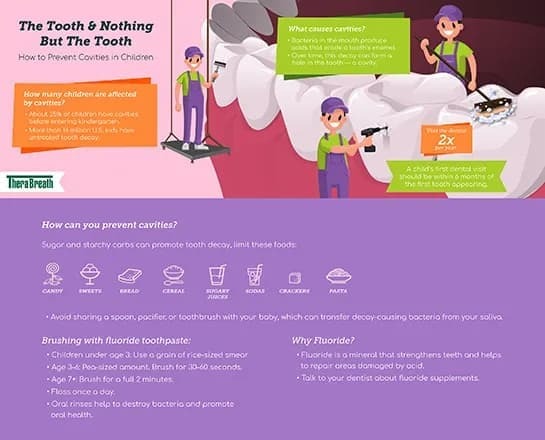 The following infographic provides tips on taking care of your kids’ teeth and preventing cavities. You’ll learn about brushing habits, dental visits, fluoride, and foods to avoid to keep those pearly whites in perfect condition.